This is an intersection improvement project on SR 30 (US 98) at SR 368 (23rd Street) in Panama City. 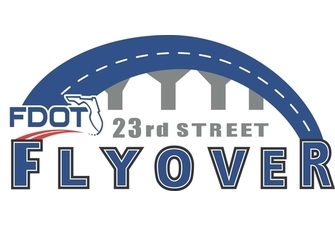 Locally known as the 23rd Street Flyover Project. FDOT has diverted traffic on US 98 to temporary US 98 from east of the Hathaway Bridge to east of Brown Avenue. All lanes are open on temporary US 98 and 23rd Street. Temporary US 98 will remain in place for at least two years while the 23rd Street Flyover is constructed and allows east and westbound traffic to avoid construction. Data current as of 1/23/2019.